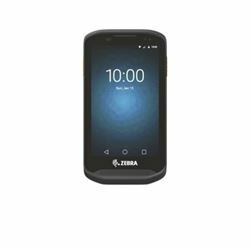 Prime Interway - TC25, telefonia 4G, Android 7, GMS, Tela 4.3, WiFi, Bluetooth, Leitor 2D SE4710, Camera 8MP, 2GB/16GB. TC25, telefonia 4G, Android 7, GMS, Tela 4.3, WiFi, Bluetooth, Leitor 2D SE4710, Camera 8MP, 2GB/16GB. TC25BJ-10C102BRNCTC25, telefonia 4G, Android 7, GMS, Tela 4.3, WiFi, Bluetooth, Leitor 2D SE4710, Camera 8MP, 2GB/16GB.